In view of some of the most spectacular scenery on earth, Silvertip Resort may be the single most breathtaking mountain golf course in the world. Designed by world-renowned golf course architect Les Furber, and influenced by the natural surroundings, Silvertip is certified as an “Audubon Cooperative Sanctuary.” Bordering two wildlife corridors, guests are regularly rewarded with the viewing of a wide variety of Rocky Mountain wildlife. The golf course features crystal clear mountain ponds, lush forest, immaculately manicured turf, and inviting fairways and greens. 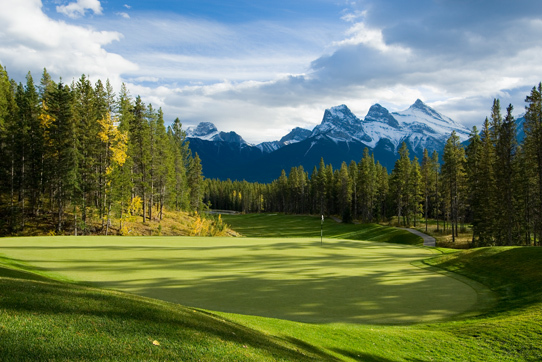 Silvertip is such a pristine wilderness golfing experience that visitors will never want to return to urban golf again. For after-round refreshment, the Timbers Clubhouse offers guests two spectacular dining options-Rustica fine dining, and Stoney’s Bar and Grill. Rustica’s atmosphere is the ideal blend of Service Beyond™ and rustic charm while Stoney’s casual setting is host to one of the most beautiful golf course patios upon which guests will ever enjoy a beverage. Both restaurants offer Mountain Wilderness Fusion cuisine-local fare and attitude paired with the finest ingredients and recipes from around the globe. 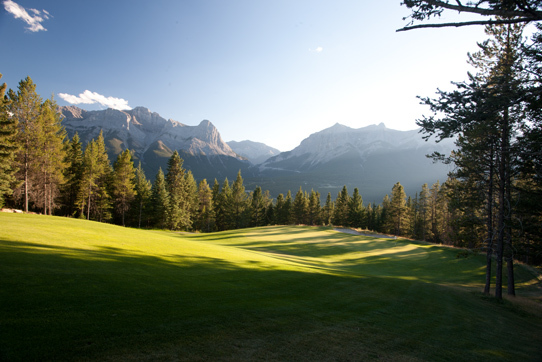 Stunning views and exceptional décor are the perfect complement to the Silvertip golfing experience. 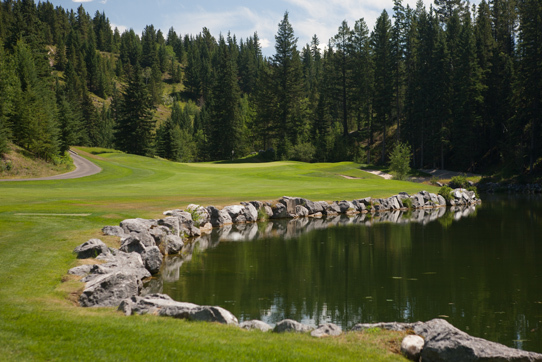 With 183 m (600 ft) of elevation change and playable from 5,100 to 7,200 yards, Silvertip is enthusiastically enjoyed by golfers of all skill levels. Golf at the Top of the World.